Prolific Japanese double bass master Tetsu Saitoh has a zen-like approach to improvisation. He claims that there are three main elements in improvisations - now, here and myself, meaning that improvisation is not possible without these elements. But real, free improvisation also attempts to erase these elements, as a true improvisation is not about self-expression but about self-realization, about searching and exploring the new-now, new-here and new-ourselves which we don’t know. “It can be said that when we try to specialize Now, Here and Myself as much as possible, we find ourselves walking on the way to anonymous universality”, he concludes. The self-taught Saitoh applies his unique approach to the music of now and here to various contexts and formats. He explores it in various free-improvised settings and with his array of extended techniques, as a mean to expand traditional legacies, to connect with poetic song cycles, and as a vehicle that enables to blend abstract sounds, free or more structured improvisations and dance movement, often with his close partner, dancer and choreographer Jean Laurent Sasportes. 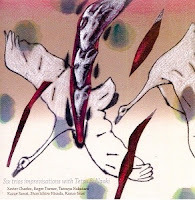 The following releases offer a glimpse to the rich, inclusive and always humane vision of Tetsu Saitoh. Saitoh and violinist Naoki Kita collaborate in recent years on a regular basis, as a duo that has released its debut album, Mei: Duo Improvisation Live at Kid Ailack Art Hall (Travessia, 2014), and in many ad-hoc formats. 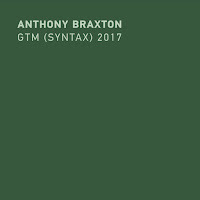 The Six Trios document the duo meetings with five different musicians, all recorded in different locations around Tokyo during 2014 and 2015. All these meetings highlight the great versatility of both Saitoh and Kita. The improvisation with French clarinet player Xavier Charles stress the refined sonic unity of this ad-hoc trio. 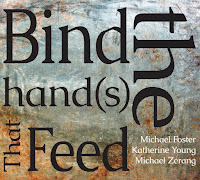 The extended breathing techniques of Charles resonate the bowed overtones of Saitoh and Kita as all sounds spiral into a profound, dark-toned drone. The improvisations with British drummer Roger Turner and Japanese percussionist Tatsuya Nakatani suggests how the their idiosyncratic languages of these Turner and Nakatani integrate organically into the chamber, strings-based format, coloring the improvisations with a free, fast-shifting pulse. 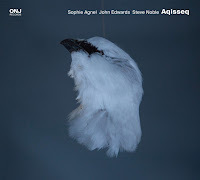 Japanese guitarist Kazuo Imai, another close collaborator of Saitoh, charges another improvisation with free-associative motives that keep intensifying its tension. The improvisations with Japanese traditional musicians - ko-tsududumi (hand drum associated with Noh plays) player and vocalist Shun’ichito Hisada and gogenkin (five-stringed plucked zither) Kazue Sawai, allow Saitoh and Kita to negotiate naturally with sophisticated, ceremonial structures, while expanding the traditional vocabulary. Hisada recites in the last improvisation the article no. 9 of the Japanese constitution that outlaws war as a means to settle international disputes involving the Japanese state. His solemn, theatrical delivery together with the dark accompaniment of Saitoh and Kita offer a bold artistic statement against the jingoistic policy of Japan’s current prime minister, Shinzō Abe. 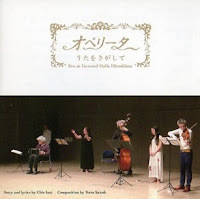 The Operiata is an expansion of Saitoh’s Looking for Songs (うたをさがして) trio - him as the composer and bass player, Kita on violin and vocalist Junko Satoh, augmented by French bandoneon player Olivier Manoury and dancer Sasportes. This is a theme-based song cycle as were the previous releases of the trio - Mugasariuta (Marmelo, 2011), written after the 2011 Tōhoku earthquake and tsunami, that caused the meltdown of three reactors in Fukushima nuclear plant and almost 16,000 deaths, and Live at Ple Ple Za (Travessia, 2014), inspired by scenes from the films of the great Greek director Theo Angelopoulos. The new cycle song was written around the time that Saitoh was mourning the loss of his mother and do capture the dramatic and intense experience of losing a loved one but are far from from a collection of grief-stricken songs. The poetic songs were written by poet Chie Inui, who collaborated with Saitoh on the trio previous project, and structured as nuevo-tango musical-dance-theater operita. The disc and the DVD offer the same sequence of songs, recorded live in Hiroshima. Saitoh, Kita and Manoury embrace the warm, operatic voice of Satoh, stressing her reserved emotional pathos with their commanding, elegant playing, briefly emphasizing some motives with fiery improvisations. 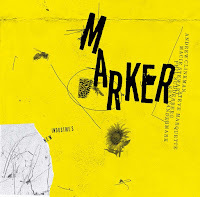 Sasportes, who collaborated before in Germany with such innovative improvisers as bass player Peter Kowald, guitarist Hans Reichel and drummer Günter ‘‘Baby’ Sommer, charges the playful atmosphere with clever, dramatic moves that correspond beautifully with the gentle songs. This ensemble radiates majestically a spirit of vividness, love, joy and comfort that anyone can find in art. The Brazilian popular urban-instrumental genre, Choro, is often characterized by virtuosity, improvisation and subtle modulations. Saitoh and sax player Taiichi Kamimura Choros may be considered as free imaginations of the Brazilian Choro spirit, not only due to the unique instrumentation of saxophone and double bass that is uncommon in the original Brazilian Choro, or the conscious omission of a defined rhythmic instrument, but thanks to the fresh approach of Kamimura and Saitoh. 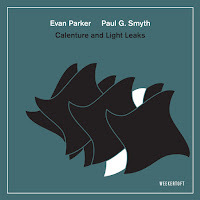 Both use the Brazilian Choro compositions as loose road-maps for their extended, playful improvisations. This duo was recorded live at Kid Ailack Art Hall, Tokyo, on January 2016. 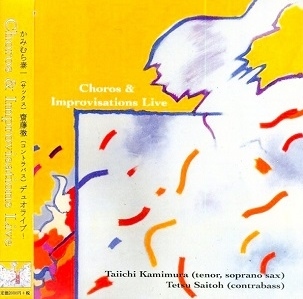 Saitoh and Kamimura interprets five compositions by Pixinguinha, one of the greatest Choro composers who introduced modern elements, including jazz harmonies to his choros; cover the classic, popular valse-Choro “Desvairada” by Garoto and another one by Severino Araújo, one of the pioneer composers who introduced jazz to Brazilian music. Both play with great passion and reserved sense of drama, and their poetic interpretations are soaked with a fragile spirit of melancholy. Saitoh sometimes plays his bass as a sophisticated version of the Brazilian single-string berimbau while Kamimura emphasizes his singing, lyrical tone. Art can help us overcome born handicaps as it can direct us to our true calling, our true voice. It surely did so to Ryotaro Yahagi, when choreographer Wolfgang Stanger taught him to express himself through dance. Stanger introduced him later on to Sasportes, who has worked with Tanztheater Wuppertal directed by Pina Bausch, and his close collaborator in the last decade, Saitoh. The three began to work together and prepare for Ryotaro Yahagi first performances outside Japan. They held open rehearsals at the Izuruba space in Tokyo on August and September, 2014, exploring Ryotaro Yahagi improvised dance language with a rotating set of various musicians and dancers, including Kita. Later on September 2014 the three began their tour in four cities in Germany, including Wuppertal, collaborating with local musicians - accordionist Ute Völker, double bass player Sebastian Gramss (who collaborated before with Saitoh) and tuba player Wolfgang Suchner. The DVD offers brief segments from the six open rehearsals held in Tokyo and more detailed documentation of the German tour. 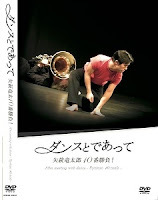 It highlights the touching interaction between the innocent yet highly expressive dance moves of Ryotaro Yahagi with the much more experienced improvisers - Sasportes, Saitoh and the local musicians. All play, move and improvise with Ryotaro Yahagi as a true peer, a unique artist whose language radiates compassion, joyful humor and harmony that affects all, dancers, musicians and audiences.